Buveur D'Air may yet head straight to Cheltenham without another run as he bids for a third successive victory in the Champion Hurdle. Nicky Henderson's eight-year-old has claimed the two-mile hurdling crown in each of the last two seasons and is a hot favourite to become the sixth three-time winner, despite suffering a shock defeat at the hands of stablemate Verdana Blue in the Christmas Hurdle at Kempton on his latest outing. Just as he has in each of the last two years, Buveur D'Air is due to warm up for the Festival by running in the Contenders Hurdle at Sandown on February 2. Buveur D'Air will be bidding to emulate Hatton's Grace (1949, 1950, 1951), Sir Ken (1952, 1953, 1954), Persian War (1968, 1969, 1970), See You Then (1985, 1986, 1987) and Istabraq (1998, 1999, 2000) at Cheltenham in March. Henderson views the Willie Mullins-trained mare Laurina as one of his biggest threats. He added: ‘I thought Laurina was absolutely excellent at Sandown the other day. She was only passing trees and bushes, but she looked great. ‘She is a fine, big beast of a mare and obviously ploughs through soft ground very well. 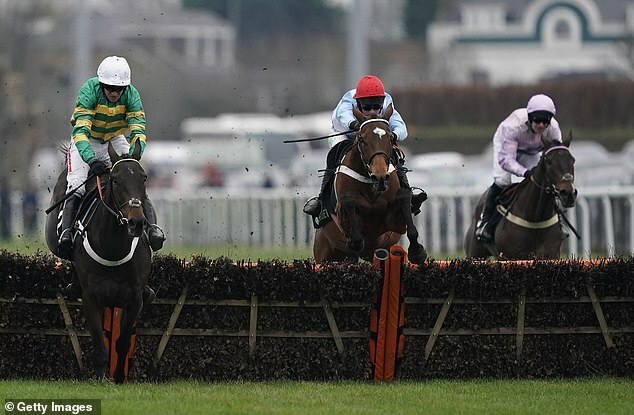 Buveur D'Air is the star name among 27 entries for the Champion Hurdle and one of six possible runners for Henderson – along with Verdana Blue, Call Me Lord, Charli Parcs, We Have A Dream and Brain Power. 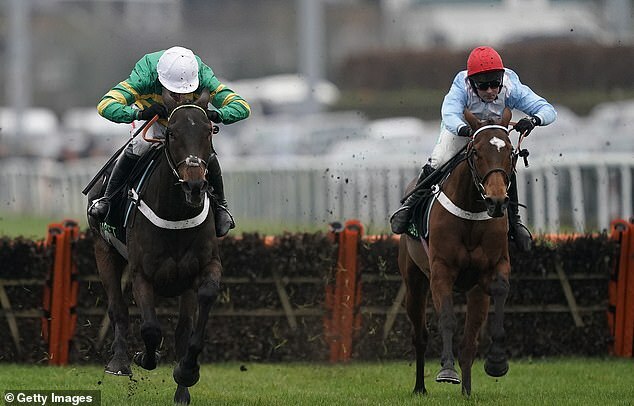 The latter was last seen winning the International Hurdle at Cheltenham and has the option of running in Saturday's The New One Unibet Hurdle at Haydock. ‘I want to see what the ground is like at Haydock. At the moment it is the plan to go there with him,' said Henderson. Willie Mullins is responsible for five of the 12 Irish-trained contenders. As well as Laurina, the Irish champion trainer could saddle last year's runner-up Melon, Sharjah, Cilaos Emery and Saldier. Samcro and Apple's Jade are two of four entries for Gordon Elliott, while Jessica Harrington's Supasundae and Gavin Cromwell's Espoir D'Allen are other potential Irish raiders. Cromwell said: ‘Espoir D'Allen is in good form, and we are happy with him. ‘He will run next week in the Grade Three Limestone Lad Hurdle (Naas, January 27), and has been given an entry in the Champion Hurdle. ‘We will have to see whether he runs in that race at Cheltenham or elsewhere. ‘Five-year-olds don't have a great record in the Champion Hurdle, but he is showing the right signs. Other contenders include Dan Skelton's Mohaayed and the Evan Williams-trained grey Silver Streak. Four greys have won the Champion Hurdle, the most recent being Rooster Booster in 2003. Williams said: ‘Silver Streak is in good form and came out of his second in the International Hurdle well. ‘He has enjoyed a great season, with some excellent performances, and has run to a good level. ‘I think we will probably run in the Champion Hurdle. You never know what will happen in these races.